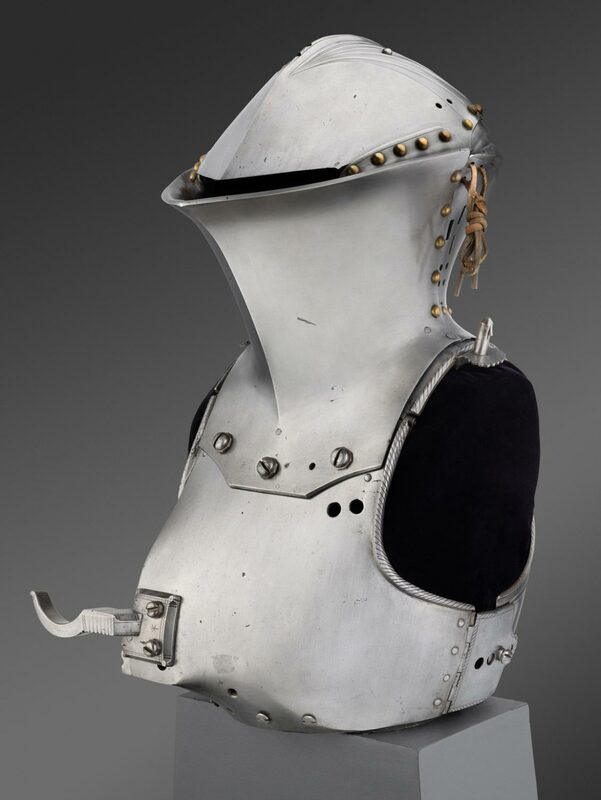 This armor was part of a set of similar suits commissioned by Maximilian I (Holy Roman Emperor from 1508 to 1519) from two famous armorers, the brothers Lorenz and Jörg Helmschmid. 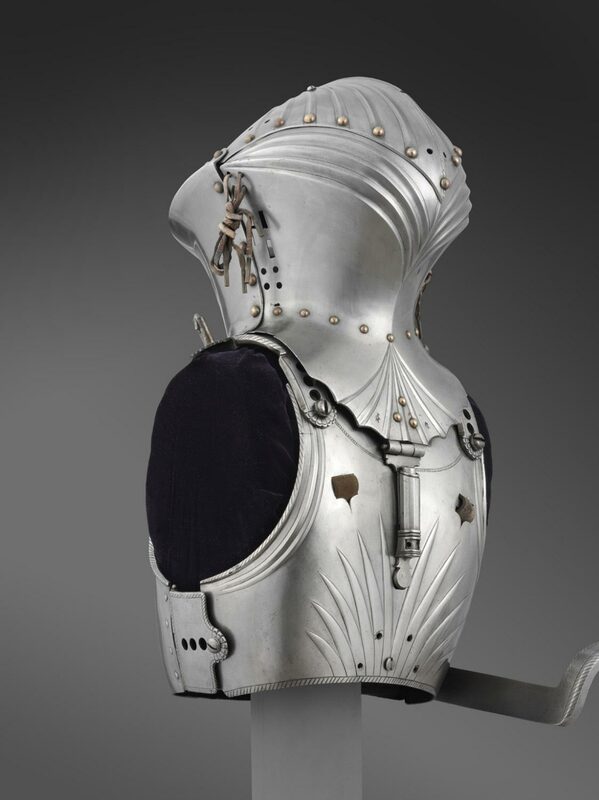 The armors were used during the jousts held at Innsbruck, Austria, to celebrate Maximilian's marriage on March 16, 1494, to Bianca Maria Sforza (1472-1510). 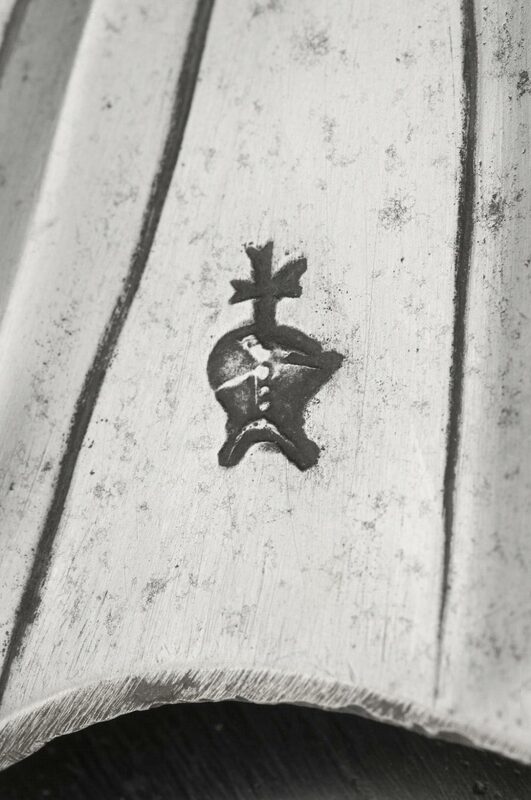 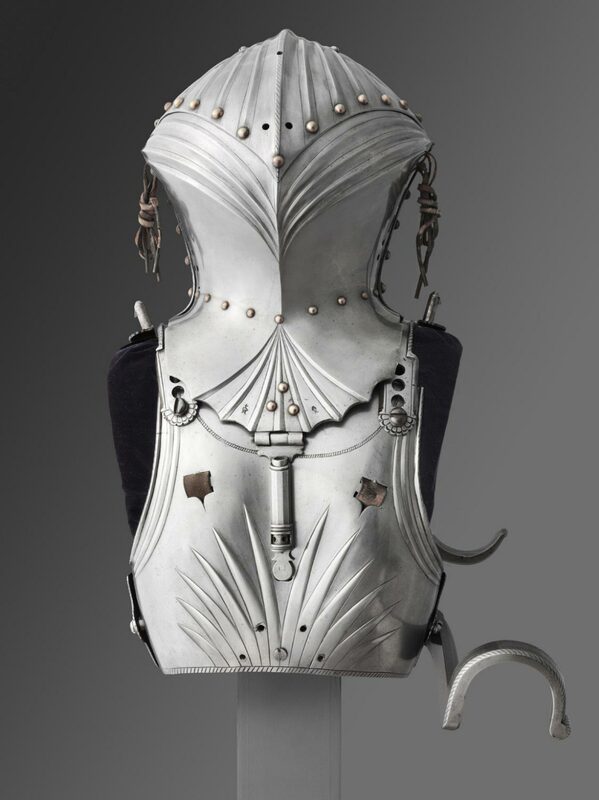 Quite popular in German-speaking territories, the Gestech was a form of joust in which two opponents on horse-back used blunted lances to dismount each other from their saddles or to strike a targe (small shield) carried over the chest and left shoulder. 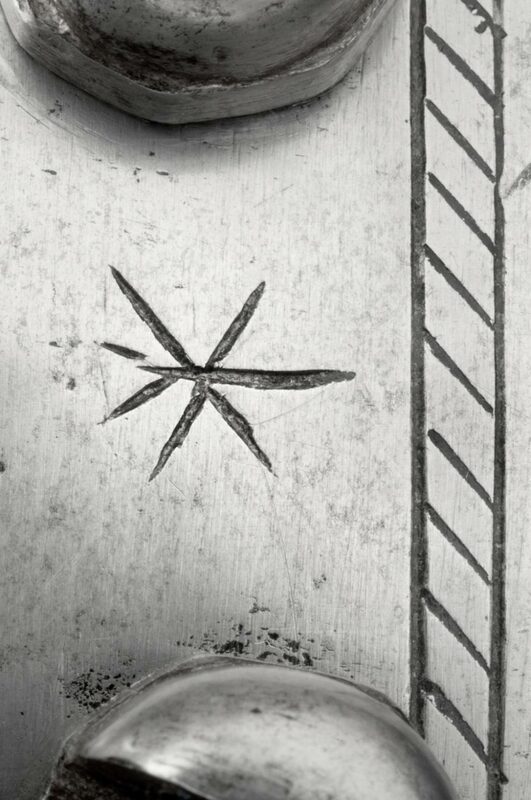 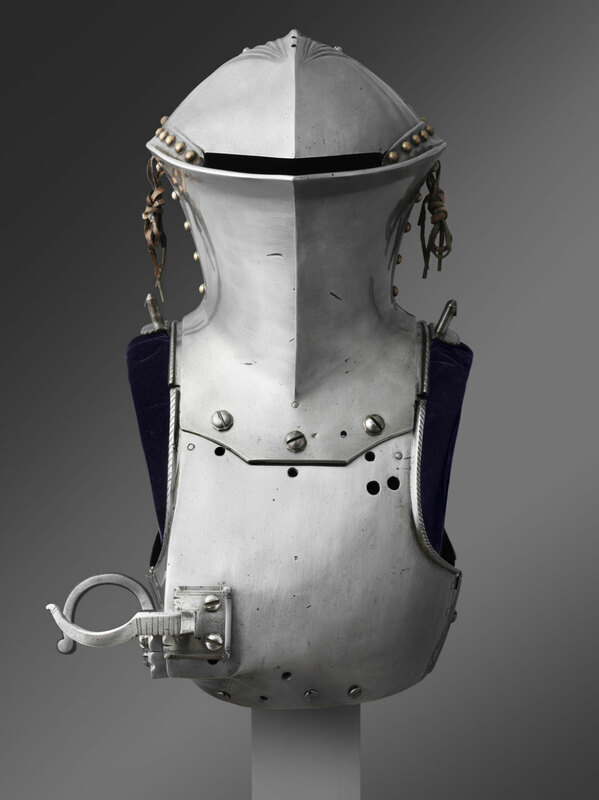 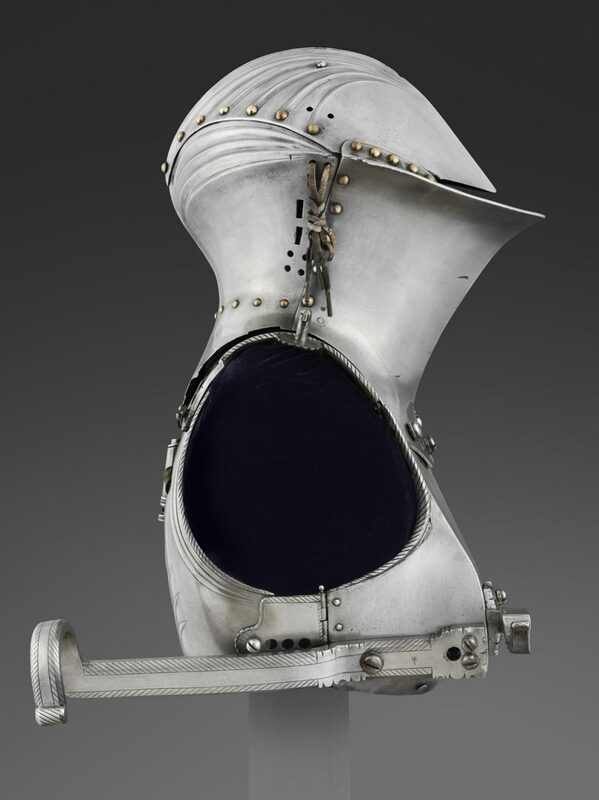 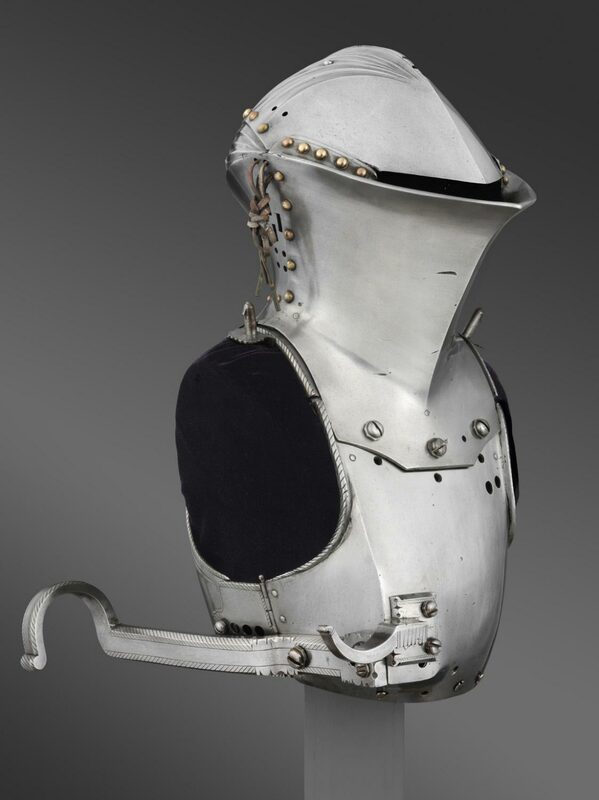 The armor used for the Gestech thus included a thick helm sturdily secured onto the breast and back plates and a lance rest at the front and the back to support the weight of the wooden lances.